Like a vine, stuttering can grow rapidly and be very hard to eradicate. Stuttering growth can happen in the physical behaviors: repetitions, speech blocks, and obvious muscular tension. Secondary physical behaviors may take the form of facial contortion, eye blinking, head movements, and similar symptoms of force. Cognitive and affective symptoms of fear, avoidance, personalization, and shame can also spread and grow rapidly. 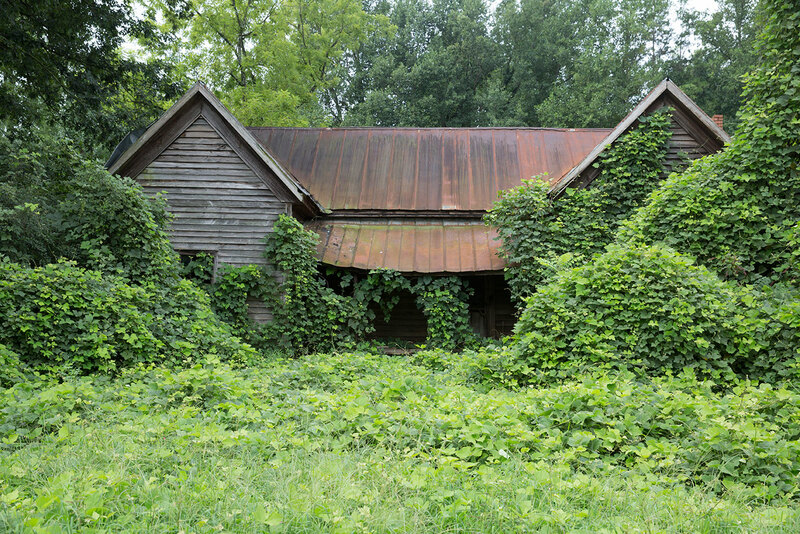 Pruning the kudzu vine, or spraying with products like Roundup, will only offer a temporary reduction to the length of the vines. The roots of the kudzu vines have to be dug up for thorough removal. Bamboo plants are similar in tenacious growth. Speech therapy for stuttering also needs to get to the root of the problem. It is only with preschoolers that we can exclusively treat the symptoms in the mouth and hope to resolve the stuttering. Preschoolers do not have strong “vines” of thoughts and feelings; just vines of stuttered words. With the positive intention of preventing soil erosion, Kudzu was imported from the Orient to the United States. It was thought that planting Kudzu on a recently graded or cleared hillside would be a good idea - it would stop erosion. You see modern-day developers and builders spread grass seed on hillsides for this same purpose of slowing erosion and reducing the runoff of rain. The problem with Kudzu is that it can grow 3 feet a day in the heat of the summer! It goes dormant in the winter -- looking like a blanket of dead weeds -- and then comes back with a vengeance in spring time. The picture above- showing kudzu completely covering and choking out a canopy of trees -- is a typical sight while driving along a highway in Georgia, Alabama, and several other Southern states. All these trees will eventually die from lack of sunlight. Between ages 2-6 many children with noticeable stutters are typically not bothered- yet. Some of these youngsters stutter with great drama: foot stomping, running out of air, and contorting their faces. One girl, age 28 months, came to her mother -- a speech-language pathologist -- and cried while saying “mommy I can’t talk anymore.” That girl was repeating words up to 20 and turning red in the face. Some preschoolers have found that whispering or “baby talk” will seem to eliminate the stutters. This is clear indication that they are aware they are having trouble talking and trying to compensate for it. The biggest reason why early intervention in preschool is so valuable is the fact that many of the children who stutter have not developed the identity of “stutterer.” What I mean is they do not know the ramification of words like “speech impediment” or “stutter.” According to the late French psychologist Piaget, these young children do not have stable memory yet and can forget passing comments about their speech. They are in Piaget’s Preoperational Stage from age 2-7. Young children may have stuttering behaviors obvious to teachers, parents, and older children and be oblivious to it. Some with more sensitive temperaments have already begun word changing and using avoidance strategies such as whispering, word changing, or foot tapping to compensate. No matter how sensitive and aware a child is in regard to his stuttering in preschool, he still does not have rigid cognitions or affect about it. The prognosis for totally resolve stuttering is best in preschool children. Only the stutter vines have grown and not the thinking and feeling vines, if you will. A six year-old was referred to me with a rapid onset of severe stuttering. She had very mild and cyclical disfluency the previous two years. One day at school her classmate said: “Haley told me your voice is crooked. Why do you do that (stutter)?” This youngster was hurt by the rumoring amongst her classmates. She began to develop a chronic stutter and also began trying to compensate with character voices. Some counseling reframed the idea of ‘crooked voice’ and my F.A.S.T. Fluency program resolved the stuttering in eight weeks. Parents have often times offered this recollection of their child’s progression of stuttering: “He started with repetitions like the other kids his age but now he blinks his eyes and might get stuck on the first part of a word eight times...I can tell it frustrates him now.” This pattern of increased stuttering and increased tension can be like the kudzu vines growing. Muscle memory of pushing and forcing the articulators of speech (tongue, lips, and voice box) can translate into a child developing chronic patterns of stuttering. An urban myth or wives tale still exists that says “never bring attention to stuttering in a preschooler.” The real questions for novices who are bound in this ideology include “what do you believe will happen if you do address it?....define attention?...what if you don’t address it?” The preschoolers who are changing words, emoting, whispering, and trying to compensate have brought attention to it themselves, haven’ they? Like kudzu, their stuttering problem may be taking root and become very hard to eradicate later. In Matt’s Story, Matt’s parents were rebuffed, misguided, and confused before directly helping their troubled child. Programs such my F.A.S.T. Fluency program and the Lidcombe Program from Australia are demonstrating artful and effective ways to intervene, stop the stuttering, and not create a stigma. Most children who stutter will have a number of very specific words or sounds on which they stutter. It may not happen when asked to say the word by itself but it may be relatively chronic when they begin a self-generated sentence with it. Excitement and linguistic complexity may be the trigger for manifesting this problem pattern. For example, many young children who stutter will do so when starting an utterance with the pronoun “I” or asking a question with a “wh-“ question (i.e., what, where, when, why). The kudzu vines may be getting a foot hold with these kids. The stuttering on “wh-“ questions may begin to spread to other words beginning with a /w/ as the muscles habituate pushing and fighting as the stutter begins to manifest. Secondary symptoms such as eye blinks, facial contortions, vocal pitch rise, eye contact aversion, and interrupted breathing are degrees of tension. Like dealing with a sock stuck in a drawer, young children often use force; not patience. As they try to escape from the muscular tension of stuttering they create additional symptoms. Researchers have suggested that the best odds of resolving stuttering are before age seven. Upon graduating from Piaget’s Preoperational Stage children remember stuttering events more clearly and have developed the cognitive process of “comparing self to other.” This process of internally punctuating and personalizing stuttering- and any reactions from listeners- can lead to the identity of a stutterer. A 15 year old told me last evening that she ignores the phone ringing at her home. She has developed a consistent speech block on “hello” and reported being embarrassed about it. She answers her cell phone with ease and absolutely no sense of fear. She looks at her caller I.D., sees it is her friend, and answers with “hey.” Analyzing this scenario shows that when she looks at caller I.D. and sees a person she is familiar with no anxiety manifests and the words flow. She mind reads that people calling for her parents or sister will judge her stuttering. Adolescents, teens, and adults have a search engine that stores and retrieves problem, or feared, words. A few years ago a 6th grader named Matt came to me unable to say any word beginning with /m/ without a dramatic speech block. The problem began with his name and spread like kudzu into all /m/ words. Many adults will stutter on a job title, company name, or other personal introduction. When you think about it, they likely did not use the word until adulthood (i.e., director of software engineering). Once they began stuttering on it they started fighting with it, maybe word changing around it (circumlocute), and attached embarrassment to stuttering on this word. This emotional punctuation of stuttering stores it in memory and triggers anticipation of the word. When asked to say it they often feel anticipatory anxiety in the chest before uttering the word. Personalization of stuttering and mind reading are two of the biggest fertilizers for the cognitive and affective issues that can grow a stutterer from a young kid who intermittently stutters. Expanding on cognitive and affective vines growing, a stutterer can present like he has Post Traumatic Stress Disorder (Starkweather & Givens, 2003). He remembers embarrassing moments of stuttering, predict future ones, and is disassociated while anticipating stuttering. A software engineer told me last week that he attended a conference for work. As soon as a discussion leader asked them to go around the room and introduce themselves he went into panic in his chest. He began to worry about potential reactions to his stuttering. This is disassociation- he was there in body but not in mind. 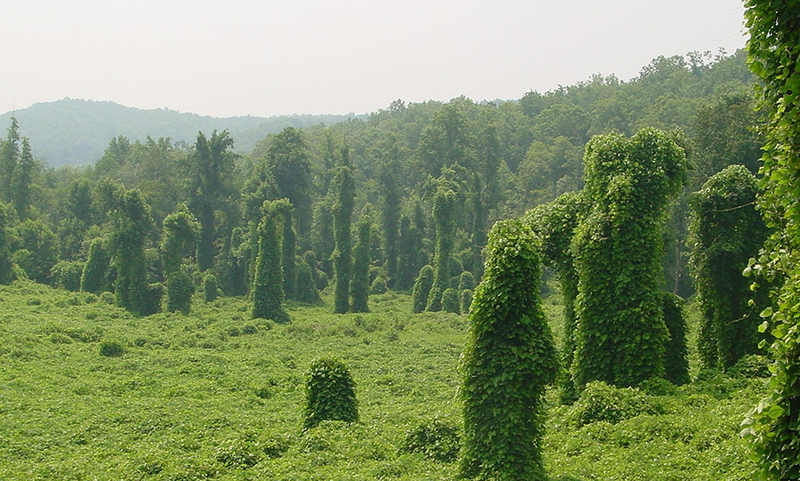 Disassociation develops as the cognitive and affective vines grow like kudzu. This eventual development in a stutterer verifies the need for cognitive reorganization to be integrated into traditional speech pathology and its behavioral strategies (i.e., fluency shaping). Preschool is far and away the best time to resolve stuttering. The vines are just growing- stutters exist but rigid cognitions and affect have not yet taken root. Little children cannot label (“I have a speech impediment and will have trouble interviewing later on”). School-age children may be developing cognitive and affective roots that need to be dug up and eradicated. We must use counseling to uncover their thoughts and feelings about stuttering and offer cognitive reorganization to help them recover and empower them. If we only offer tips like “stretch your words and use easy speech,” we are just pruning the leaves of the kudzu plant. Recovery in teens and adults is possible but much more difficult. Celebrities such as James Early Jones, Bruce Willis, Bill Walton (NBA great), Jack Welch (former GE chairman), Johnny Damon (MLB great), and others have all but eradicated their stutters. They all stuttered into adult hood and speak beautifully now. They worked very hard to change talking patterns, gained confidence, and stress-tested on camera and interviews. These people and others dug up the roots completely and turned the soil!